Individually hand built farm, wild and domestic animals. Inspired by a life long love affair with the countryside and living on a farm outside Bath, Sally is offered ample opportunity to engage and create the characteristics of wild, farm and domestic animals she encounters. Hares are a particular favourite of hers and she loves to studying them in the fields around the farm. All Sally's pieces are individually hand built using stoneware clay, they are fired up to 3 times and she usea slips, glazes and oxides before a final firing of 1260 Degrees. Sally gained a BA (Hons) in three dimensional design: Ceramics at Bath Spa University. A collection of beautiful decorative items in wood. 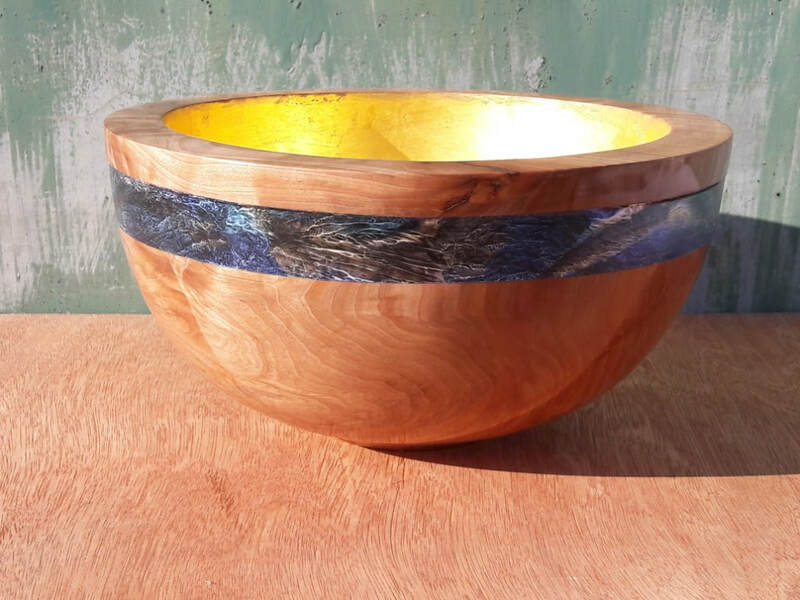 The beauty of wood has always fascinated me and my journey with this medium has brought me from sail boats to band sawn jewellery boxes; from finely finished turned bowls with gorgeous grain to intricately decorated items. In some the beautiful grain patterns say it all, in others I may use texturing, colours, piercing and/or pyrography to create different effects. Commissions welcome. Kiln fired glass - jewellery, pictures, candle covers, birds & more. I work with kiln fired glass. 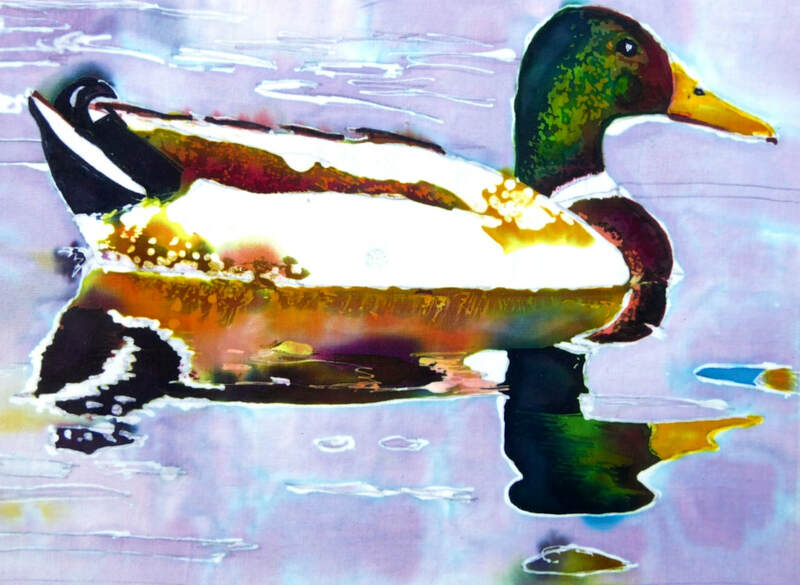 I work with fusing art glass into layered and textured pictures and jewellery. 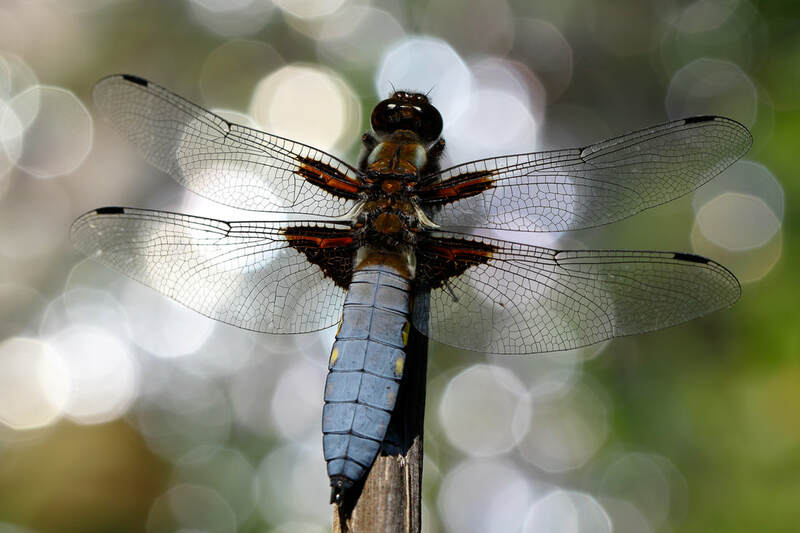 I draw inspiration from the garden, seasons and wildlife. I also enjoy traditional stained glass. I make a series of birds as well as pictures. Again this is permanently fired into the glass. Light in the environment brings glass to life; casting coloured shadows, reflecting sparkle and showing depth of colour or the transparency. Hand - printed linen created into textiles for the home. I produce a contemporary and striking range of hand-printed linen, from original drawings of images and silhouettes from our countryside and gardens. From my drawings I make designs which I screen-print onto linen, using environmentally friendly inks. When the printing is complete, each piece is heat cured, and hemmed. I also run workshops that demonstrate how with a few simple and inexpensive items, beautifully printed fabrics can be produced! Landscape and wildlife mixed media artworks. 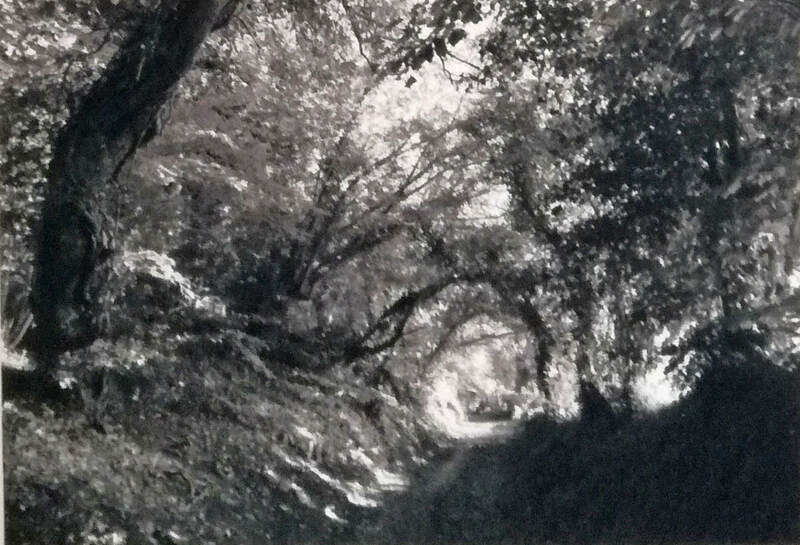 My art is based primarily on landscape and wildlife subjects using pastels, acrylics, watercolours and pencil, but mixing media gives me the greatest variety of textures and effects. I enjoy creating a sense of atmosphere in my art as well as an attention to detail. Intricate free hand machine embroideries elegantly suspended in a shadowbox. Born and brought up in Taiwan, Shuya Cheng now lives in Bath, UK. A self-taught artist having begun her journey working in the fashion industry, Shuya spent time as a graphic designer before experimenting with abstract form in a variety of mediums. Shuya divides her time in her studio between using her sewing machine to explore patterns, shapes and structures found in the world around us through free-hand embroidery and creating abstract paintings, primarily in acrylic but utilising a wide range of techniques and multi-media. Her inspiration comes from both Western and Eastern culture. The themes in her work vary but are rooted in her upbringing, culture and the transitions, personal and geographical, that she has experienced. Unique fluid abstracts that will stimulate or relax your soul. Founder member of Bath Society of Botanical Artists, Member of Marwell International Wildlife Art Society and UK Coloured Pencil Society. Diana is on a journey of self discovery and paints from her heart as she has never had any formal training. Her abstract works are vibrant, fluid and unique that evolve through interaction or rejection of mixing mediums. Domestic pottery which is both functional & decorative. I make a range of domestic pottery which is both functional and decorative, with attention given to detail and quality of finish. I also make individual one off pieces. Textile sculptures using vegetables, copper wire and other fibres. I describe myself as a textile sculptor. I make three dimensional woven pieces. I am quite experimental and use a variety of materials including, recently, vegetables. Hand made bags in silk paper, recycled sari silk and leather. I design and make bags working with natural materials including hand made silk paper, recycled sari silk and leather. I also make cotton quilts. Paintings of British birds in acrylics on board. British birds and wildlife in acrylic on board from sketches and observations in the local countryside. Landscapes and townscapes / architectural drawings ink drawings and watercolours. I draw and paint in inks and watercolour and mixed media. 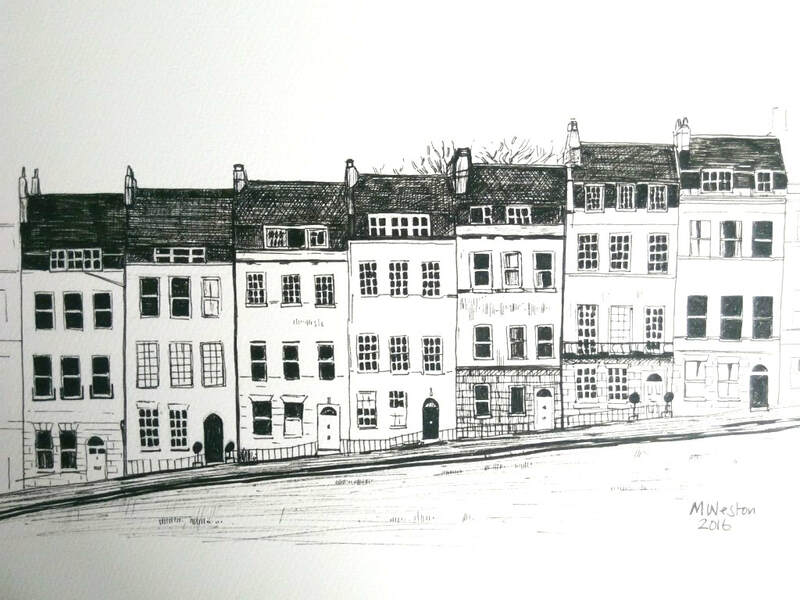 My subject matter is landscapes and architectural and mostly features local places in and around Bath. Paintings. Mosaic, ceramic and textile pieces. Pencil and crayon drawings. The residents of Greenhill House get actively involved in various art making projects using a variety of medium including paint, ceramics, mosaics and textiles. The work is inspired by different events and themes which this year included 1930's, rainbows, Harry Potter and animals. At Greenhill House we champion the artistic talents of our service users and this exhibition is a way of showing their work to a larger audience. Images of landscape, arboreal & riparian scenes. Working in watercolour and mixed media my images are mainly impressionistic, trying to capture the moment. Some abstract work. Paintings in watercolour, oil and acrylic and greeting cards. Annie has been a professional artist and designer all her life. Creating display work, interiors, artwork for print and craft as well as paintings. Recently she has been creating canvases with scenes from the Somerset countryside and well known landmarks. Landscapes in photography and painting with acrylics. Painting with acrylics is my preferred medium; I like landscapes. I also take photographs of landscapes and seascapes and I like to use them in digital art. Pastel paintings of captive and wild animals. 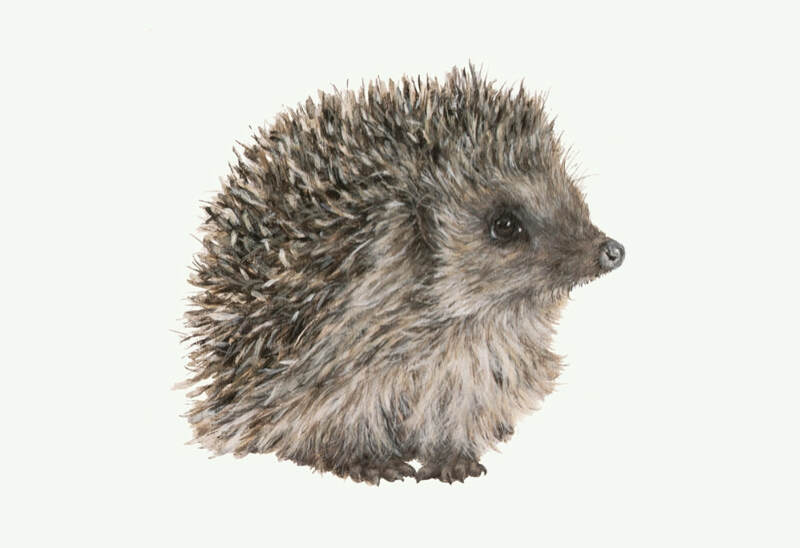 I am a Wildlife Photographer and Artist painting mainly in pastels and sometimes in other mediums. Wildlife prints and gift cards. I am an award winning photographer, primarily focussed on wildlife but also with a keen interest in artistic and abstract subjects. 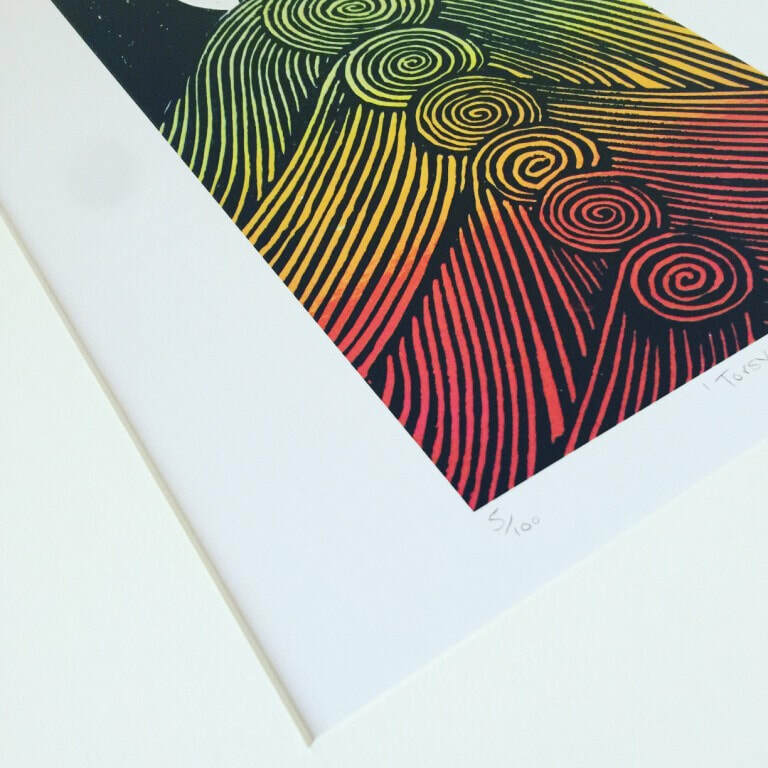 I produce prints, gift cards and undertake private commissions. Landscapes & seascapes combining paint & print techniques. This is my 6th year exhibiting with this Arts Trail and you may have seen my atmospheric acrylic seascapes with lots of sky. This year as well as my acrylics you'll have the chance to see my new collection of work and my workbooks documenting my exploration into print techniques and other mediums. I have enjoyed combining these different approaches to capture the character and atmosphere of the landscape around me. Original batiks on canvas, celebrating the Cam Valley flora & fauna. My inspiration comes from the nature surrounding me in the Cam Valley, giving significance to the everyday including water birds on the coal canal, grazing animals in the surrounding fields and floral tributes to summer. My media is Batik (though breaking with tradition), which involves drawing on fabric using a hot wax pen (tjanting), building up layers of vibrant colour, letting the wax resist the dyes and creating the image working from light to dark. Display of children's work and workshop venue. Workshop booking opens 1st October. Rich, colourful, textural expressionistic paintings. Gina created rich, colourful, expressionistic and textural paintings. She paints mainly in in oil and or acrylic using a palette knife and uses mixed media also. Gina takes her inspiration from landscapes, seascapes, trees and she has a fondness for the heart form which often is incorporated in her work especially through her ‘love and sparkle’ series. They are created firstly using paint and palette knife before incorporating collage, gold leaf and some added sparkle! 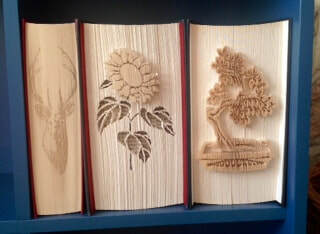 Old books turned into physical pieces of art. Understanding that a book is an object in its own right as well as the holder of ideas, I rescue unwanted second hand books and transform them into pictures or sculptures by individually folding or cutting each page so creating a new art form. The books can then be displayed once again rather than being forgotten about once read. They say a picture is worth a thousand words or in my work, several hundred pages. Hand woven scarves and wraps with silver accessories. Hand weaver specialising in silk and fine yarn weaving. Dyer using Procion and natural dyes. Jewellery products to finish the look. My work is the result of a passion for combining and contrasting materials. I like experimenting with weave structures, and colour. I’m currently experimenting with painting dye directly onto the warp during the weaving process and combining fabric with silver to make unique pieces of jewellery. Handmade jewellery using my handmade glass beads. I produce handcrafted one of a kind glass beads. These beads are used to make bespoke jewellery pieces. The process is called lampwork. It is a type of glasswork where a torch is used to melt the glass. 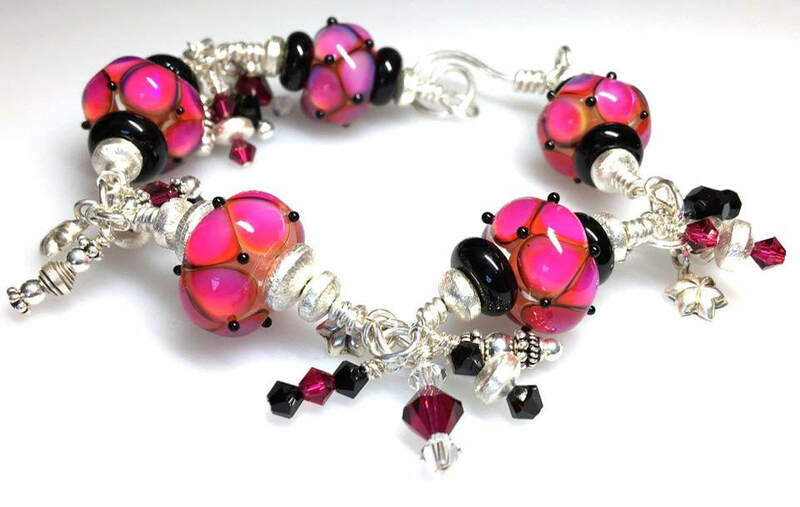 Once in a molten state, I create designs by using different techniques and tools to stretch and shape the beads. This is also known as flamework and torchwork. Textile and print work, pictures , accessories & more. Hand-felted, hand-dyed, hand-cut art and craft, pictures, accessories and more. Art to hang. Craft to feel. Crafted in North Somerset. Mixed media inspired by nature. Paintings, prints, textile art & collage. I am inspired by nature, photography and drawing helps me to develop my images into Abstract Paintings and Textile Art. I have recently been experimenting with print and collage and using these in mixed media works. My approach can be spontaneous letting the figurative elements disperse into abstraction reinforcing the relationship between the real and the imagined. In allowing the process of painting to develop instinctively results in the ultimate visa. Join the Bellringing Group and find out how to ring. Beginners welcome. Learn to make yarn decorations. Drop in session Saturday and Sunday. Lucy is a calligrapher and member of Mendip Calligraphy Group. Her hand lettering uses mainly modern and contemporary scripts. She loves colour and writes in paint, pencils and ink on a variety of papers and small objects. Her work is hand written, original and handmade. Commissions welcome. You can contact her via the website www.mendipcalligraphy.wordpress.com and on Facebook at Lucy Empson Calligraphy. Kiln Fired Dichroic Glass Jewellery, Silver and Laser Cut Jewellery. Wendy Greenwood is Rainbow Glass Creations. I design and make a wide range of matching Kiln Fired Dichroic glass jewellery. I love jewellery and I am a magpie. I’m drawn to all things sparkly, iridescent and colour changing. 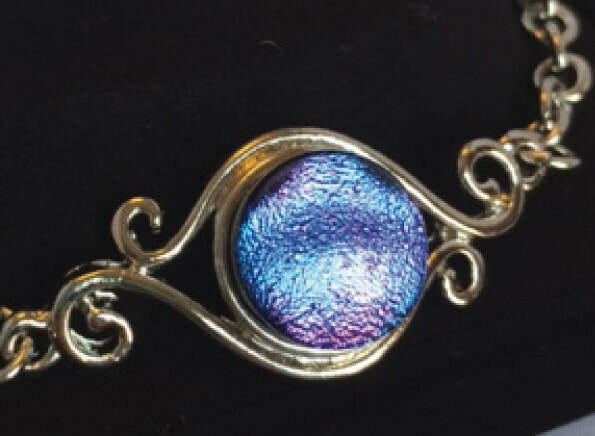 Dichroic glass has multiple layers of colours that result in it changing colour. It can also be sparkly hence my passion for Dichroic glass jewellery. I also dabble with Sterling Silver and Laser Cut Jewellery. A range of functional and decorative pieces turned in wood. 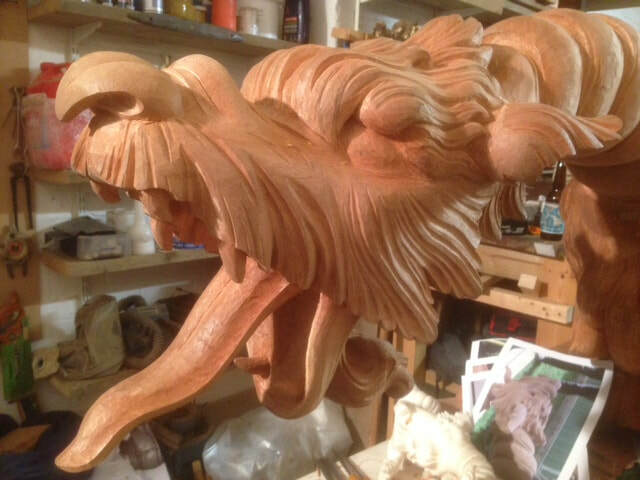 My preferred medium to work in is wood, both the native timbers of Britain and Europe, and occasionally working with more exotic timbers sustainably sourced from around the world. My work is predominantly lathe turned, although frequent use is made of colour, texture, carving and pyrography as demanded by my designs. Hand knitted and crocheted accessories, decorations and toys. I use a variety of yarns to knit and crochet clothes, accessories, decorative pieces for the home, and soft toys. 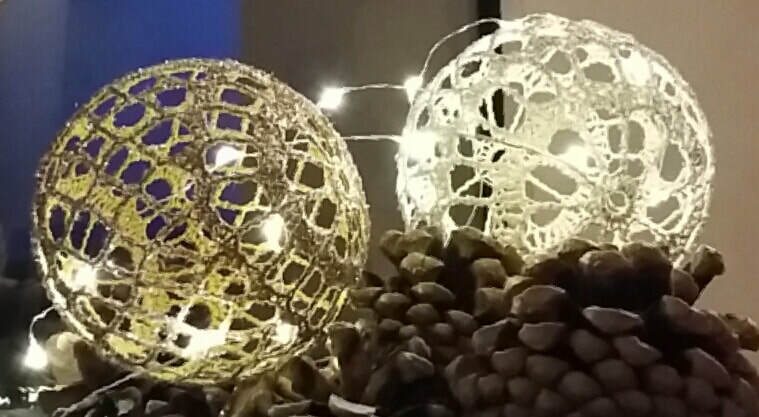 As well as being interested in the traditional skills involved in yarn crafts I also explore the use of mathematical formulae and ratios to craft unique pieces. Watercolour on board representing Journey exploring layers of existence. I am a fine Artist working in Watercolour. My work is a combination of observation and memory. A fascination of journey from a personal and cosmic perspective has led to an exploration of the layers of existence and how we see. Using colour, observation and symbolic representation I build up a layered response to a journey. Each piece is personally provoked and its many layers of meaning create a separate journey for the observer. Paints pastel animals and birds, taking commissions for pet portraits. I am a pastel artist, specialising in paintings of animals and birds. Many of my paintings are inspired by and feature local wildlife and livestock. The bulk of my work is commissions for pet portraits; this is mainly but not exclusively dogs, cats and horses. I like to meet the animals I paint and take photographs myself if they are local. I teach all day pastel animal workshops with a maximum of 6 people. Photos of the manmade in juxtaposition with nature. My artist projects take on various forms, including life drawing, photography, embroidery and ceramics. I produce work in the main for my own pleasure – a venture into selling some of my photographs will be new for me! Acrylic, watercolour and lino print. I work with a variety of mediums including acrylic, water colour, lino print. Fused glass decorative items, dishes and jewellery. I enjoy the variety that can be achieved when fusing glass, and the process of undertaking something practical. Your mind is totally absorbed in what you are creating, which can be both relaxing and invigorating. Most of the items I produce are fused glass, i.e. melted in a kiln to bind them together. I make a variety of items ranging from jewellery, and small decorative dishes, to small window hangings and larger dishes. Acrylic and mixed media paintings full of drama and colour. After a career in Interior Design I now like to express my love of colour in painting landscapes and seascapes. Using acrylic and watercolours I enjoy experimenting with new techniques and styles to produce vibrant and colourful artwork. Watercolour, pastel and ink paintings. 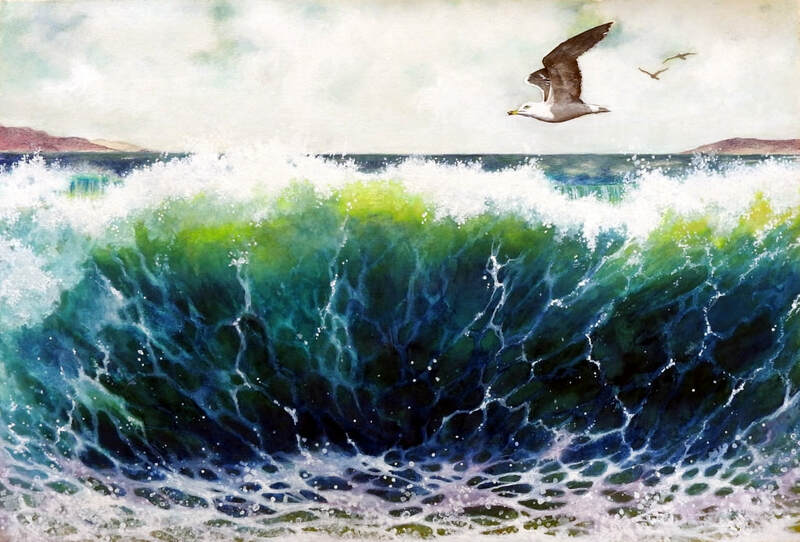 A mix of watercolour, pastel and ink paintings in a wide variety of subjects and styles. Colourful woven scarves, rugs, throws, willow baskets and felted items. I am a textile artist who loves dyeing most of the fibers I use in my weaving. I get my colour inspiration from the flowers in my garden and weave soft colourful scarves, rugs and throws. I also knit, make felt and weave willow baskets. I will have a wide selection of my work at the art trail. Watercolour paintings - mostly flowers. I have been painting for 25 years; starting in acrylics then changed to watercolours which I prefer. Much of my watercolour work is botanical in style and mostly flowers. Exploring hand spinning using a drop spindle. 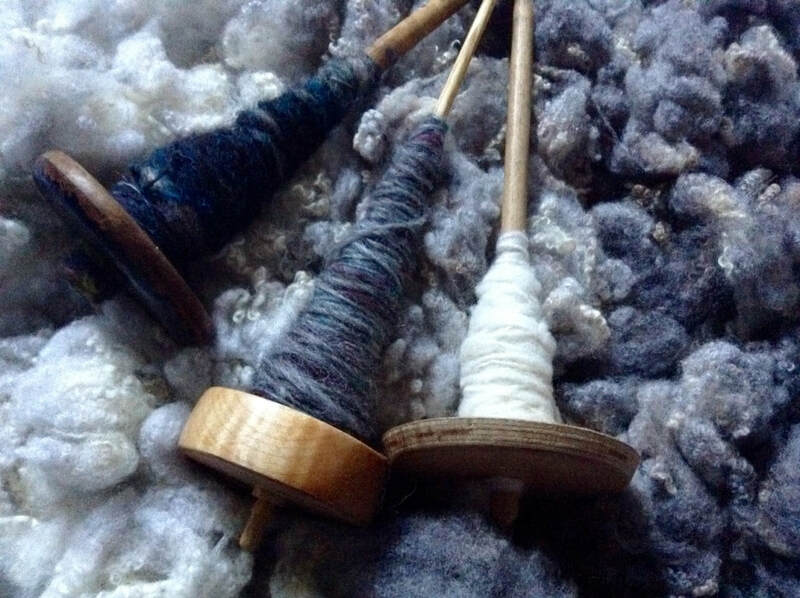 I am continuing learning about and exploring hand spinning using a drop spindle. I have recently been learning about dyeing using plants – I have been experimenting with how these dyes work on different natural shades of fleece, and on how these colours can be blended and changed during the spinning process. I have also been exploring fibres made from materials such as bamboo, seaweed and wood pulp, and how these might combine with wool. My work is a mixed media specialising in print, I work using traditional printing methods such as linocut print and screen print as well as more modern techniques incorporating mixed-media and prints on fabric and pottery. Hangings and scarves in silk. Prints - etching and monoprint. My work includes mixed media, print and textiles to express images that are often semi abstract, or slightly figurative. I work in a variety of print techniques depending on what I am trying to express in the work, which can be small on paper or large on fabric often working between the techniques to keep ideas fresh and flowing. Movement and colour have always be very important me allowing the work to free more immediate. Silver, resin and textile jewellery.A silversmith based in Clutton. My favourite pastime is hammering and shaping metal. I find inspiration in all things quirky and fun around me. 2013. Cam Valley Arts Trail. Images copyright artist.